Part of the aesthetically pleasing and wholly practical Cali range, the Cali Dunk waterfall bath shower mixer tap is the perfect solution if you're looking to have both a bath tap and a shower without shelling out for a separate shower unit. 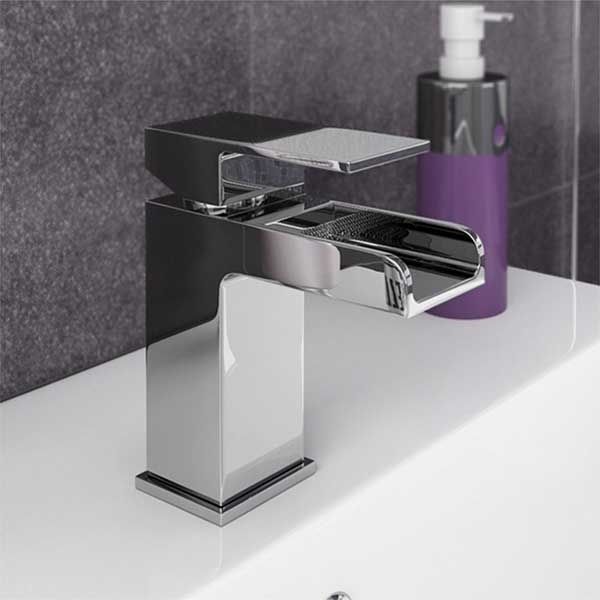 With a cuboid inspired contemporary design, the tap looks fantastic when deck mounted onto your bath. 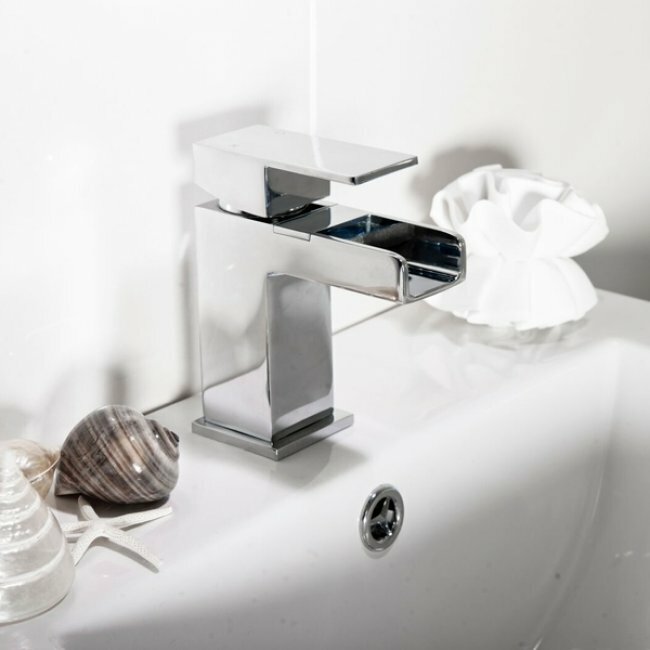 The striking chrome finish adds to its eye-catching experience, looking as good as new throughout the lifetime of the tap. Just give it a quick wipe-down as part of your regular bathroom cleaning routine. A waterfall spout serves to add to the taps aesthetic appeal, channelling mixed water temperature provided by the individually controlled hot and water supplies that can be switched on with a simple turn of each lever. Prefer to channel the water through the included shower hose instead? Just pull up on the central knob to effortlessly switch between the two. 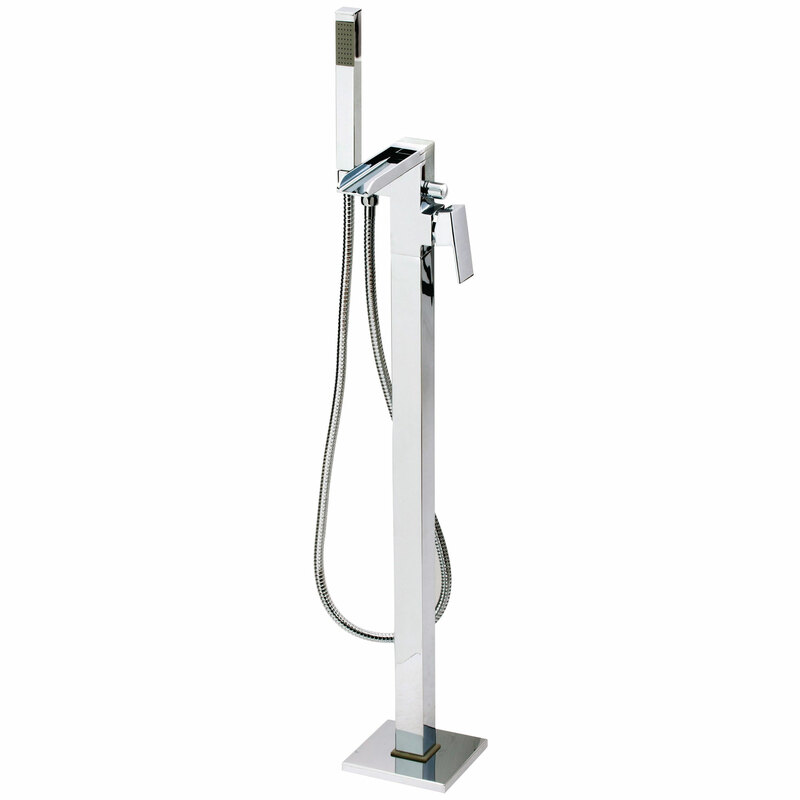 A wall bracket is provided too, so you can hang up the microphone shower handset to turn your bathing area into a proper showering area too.